Each and every time I post on my Facebook page or tweet about my crusade for a clean energy future, I see them. There are always a few of you, asking why we should care about the temperature rising, or questioning the science of climate change. I want you to know that I hear you. Even those of you who say renewable energy is a conspiracy. Even those who say climate change is a hoax. Even those of you who use four letter words. I’ve heard all of your questions, and now I have three questions for you. Let’s put climate change aside for a minute. In fact, let’s assume you’re right. First – do you believe it is acceptable that 7 million people die every year from pollution? That’s more than murders, suicides, and car accidents – combined. Every day, 19,000 people die from pollution from fossil fuels. Do you accept those deaths? Do you accept that children all over the world have to grow up breathing with inhalers? I, personally, want a plan. I don’t want to be like the last horse and buggy salesman who was holding out as cars took over the roads. I don’t want to be the last investor in Blockbuster as Netflix emerged. That’s exactly what is going to happen to fossil fuels. A clean energy future is a wise investment, and anyone who tells you otherwise is either wrong, or lying. Either way, I wouldn’t take their investment advice. Our economy has not suffered. In fact, our economy in California is growing faster than the U.S. economy. We lead the nation in manufacturing, agriculture, tourism, entertainment, high tech, biotech, and, of course, green tech. I have a final question, and it will take some imagination. To use one of the four-letter words all of you commenters love, I don’t give a damn if you believe in climate change. I couldn’t care less if you’re concerned about temperatures rising or melting glaciers. It doesn’t matter to me which of us is right about the science. I just hope that you’ll join me in opening Door Number Two, to a smarter, cleaner, healthier, more profitable energy future. 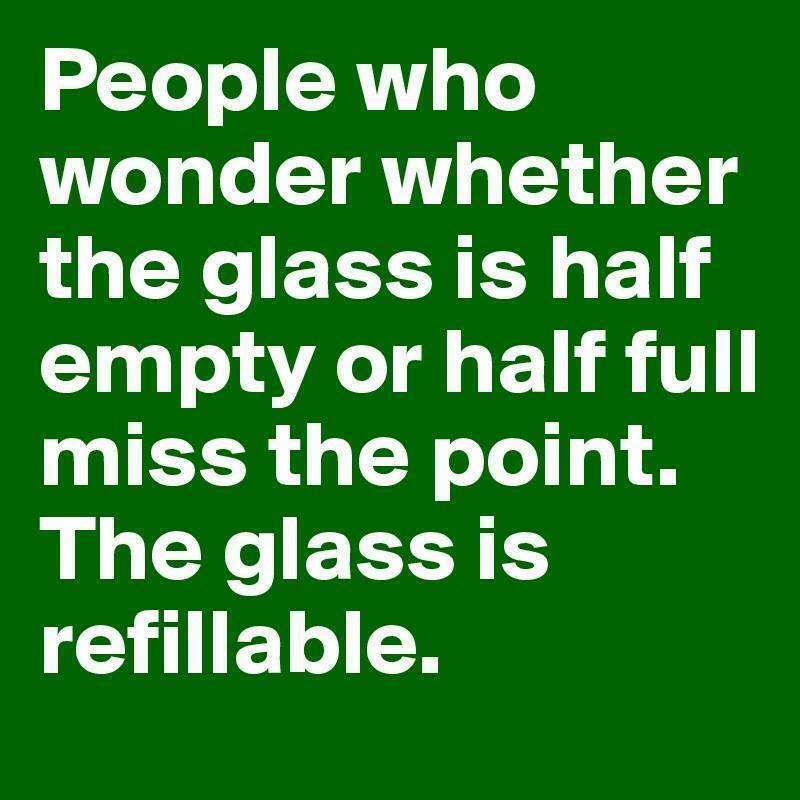 Is your cup half full or half empty? Do you spend the majority of your time thinking about what is going wrong in your life or do you see the positive in every situation? Regardless of our circumstances, we always (yes, always!) have a choice to see the positive side of life. If you aren’t used to doing that, it may take a bit of effort to switch your mind into thinking of the positive but doing so will produce amazing results. It actually re-wires your brains to be more positive! So, make the choice to see, think and speak about the positive side of every situation. Do it daily, hourly. Look for the good. Really look for it. A gentle word, an inspiring quote or a meaningful poem can bring comfort when times are tough. Over the years, I have found one poem in particular to be comforting and chock-full of good advice on how to navigate in our complex world. It’s particularly powerful when read out loud with feeling.